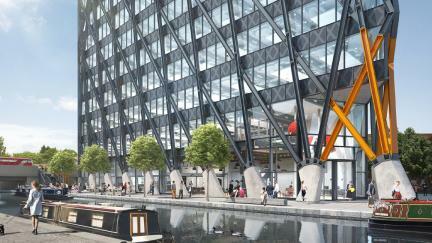 The Brunel Building is an impressive 240,000 sq ft commercial development located on North Wharf Road, London. The landmark design by Fletcher Priest Architects comprises 16 storeys of high quality office space, with the ground floor housing 5,500 sq ft of retail units, fronting directly onto the canal. The brief for the complimentary external furniture was detailed, and demanding of a high-quality, bespoke-manufactured solution. Working with construction experts Laing O’Rourke, Bailey Streetscene were delighted to be awarded this highly prestigious project. Running a total length of 76 metres, the modular installation includes 4 large benches and 1 DDA seat all in solid European oak with integrated LED lighting. There are also 4 tree pits, 1 litter bin and an impressive 50 metres of oak walkway sleepers at floor level. 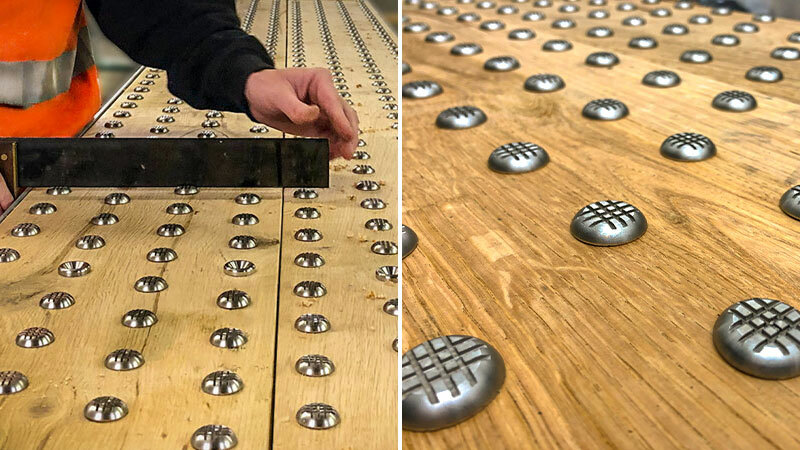 The walkway features over 6,200 non-slip tactile studs set-in and meticulously aligned by hand to maintain a high-level finish throughout, and which provide an important safety function in demarcating the building frontage from the Paddington Branch canal. More information coming soon on our case studies page. Have something similar in mind for your upcoming project?